4th Sunday – reputation or conversion? Jeremiah was known as the ‘weeping prophet’ because people did not listen to his message (King Jehoiakim even burned one of Jeremiah’s manuscripts). He experienced God’s word deeply and in the midst of false ‘prosperity prophets’ who declared God was looking favorably on his people and good times were coming, Jeremiah shares his personal call and his preparedness for rejection. What is the challenge of being a ‘prophet to the nations’ like Jeremiah today? Do you feel formed and called by God to stand up for (or against) something in society? What has been your response so far? What happened? St Paul continues discussing the ‘elitist’ problem in the Corinthian community. Some people were setting themselves apart as a ‘spiritual elite’ with boastful talk of their charisms and gifts. Gifts and charisms mean nothing if love is absent. Evaluate your life by the qualities of love in the second reading: Are you patient? Kind. Jealous? Proud? Resentful? Do you take offence easily? Gossip? Delight in truth? Forgiving, trusting, and hopeful? What aspect of your character could you invite the holy spirit to help you with? St Paul uses a special word (agape) for love. It is not a sexual love (eros) or a family love (philia). Agape is a quality of love that is given regardless of a response. Agape love is loving like God loves. In what ways and in what relationships do you show ‘agape’ love? Do you recognise people in need constitute God’s agape call to us? Jesus continues to speak to his home- town. In an ‘honour and shame’ culture of the ancient Middle East, an expectation is placed over Jesus to bring honor, glory, acclaim to Nazareth. Be our ‘local’ prophet, set up a healing station here in Nazareth like you have been doing at Capernaum. Bring in the tourists! Their attitude and concern is reputation rather than conversion. Jesus confronts them. In what ways does ‘reputation’ take priority over ‘conversion’ in your life? When was the last time you experienced the ‘cost’ of discipleship like Jeremiah and Jesus? Jesus identifies himself with the mission of the great prophets of Elijah and Elisha who were sent out to nearby gentile lands (Sidon) and people (Naaman the Syrian) which infuriates them. They react violently to the idea that God’s favor is also for the gentiles and not exclusively to Israel. Why do you think removing barriers and cultural walls meets resistance? What is beneath the categories of right / wrong, clean / unclean? 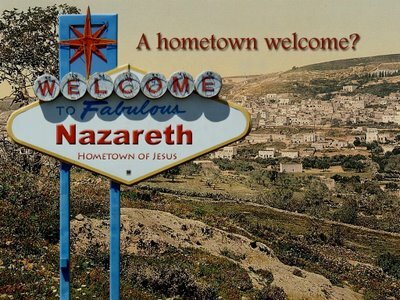 The ‘community’ at Nazareth limit Jesus by confining him to be ‘Joseph’s son’. Have you experienced the support of family, friends and community and then as time goes on, recognise the limitations people’s perception puts on you? Do you feel called to ‘break out’ of ‘reputation’ and move toward ‘doing the will of God’? What obstacles do you face? How will you respond to people ‘springing to their feet and trying to throw you off the cliff’? Jesus returns home to Nazareth and experiences rejection. Mark, the earliest gospel writer clearly describes the lack of faith of Jewish people and the Synagogue toward Jesus. At home in Nazareth they are attracted to his teaching but take offense (skandalizmai – scandalised) and even make a negative remark calling him ʻSon of Maryʼ. It was normal to refer to someone only using the title of ʻSon of Joseph- Fatherʼ. They are objecting to the uncertain origin of Jesus. Can you glimpse the pain and rejection of Jesus at home, with his own family members? Have you had a personal experience of rejection. Lack of belief in you. ʻCutting you downʼ. ʻPutting you into a boxʼ? How did you react? How does Jesus react? Are you curious as to what Jesus does next? The three readings today highlight a theme of ʻif only …ʼ. If only people would listen (Ezekiel)… If only I didnʼt have this personal difficulty (St Paul)… If only my family and friends would believe in me (Jesus)…. Difficult circumstances can shut us down, take away our energy. We need another source of energy and identity. The spirit sustained Ezekiel, Paul, Jesus to respond positively not negatively. 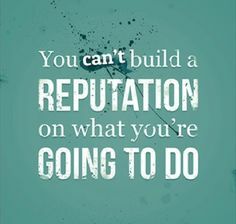 Consider naming your challenges and decide on positive solutions. How do you overcome the ʻNazareth syndromeʼ? It is mysterious how Jesus ʻwas not able to perform any mighty deed thereʼ. Have you ever decided about someone and your mind and heart becomes ʻclosedʼ and not ʻopenʼ to that person? The relationship now becomes ʻstuckʼ in possibility and expectation. We bring the closed door and negative view into each conversation and meeting. How open are you to Jesus? Pray for an open mind and heart to see signs and wonders and glimpses of the kingdom at work in daily events. How are you seeking to grow your faith and relationship with Jesus?